RANGERS Reserves lost for only the second time this season in the SPFL Reserve League today as Hearts won 2-1 at the Oriam. Harris O’Connor headed the ball into his own in the first half to give Hearts the lead in a fairly even first half, but Rangers roared back in the second half and equalised through Andy Dallas on 57 minutes. The Gers were looking stronger and stronger looking to get in front in the game but against the run of play, the Jambos regained their one-goal advantage with the winner near the end, Euan Henderson’s goal giving them all three points. 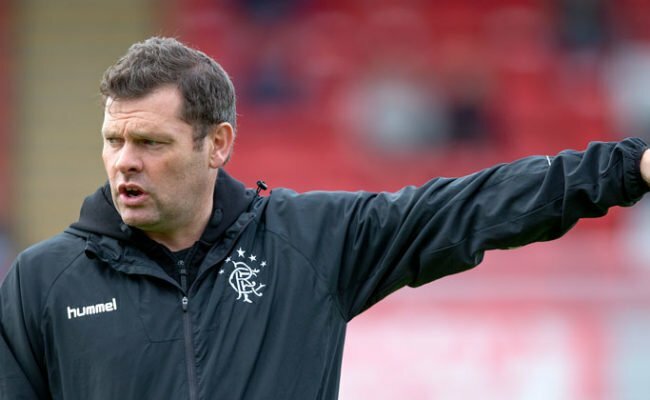 Graeme Murty was forced to call upon ten players from the under-18 age group with the squad having no less than 16 players unavailable through injury, illness or loan contract clauses. 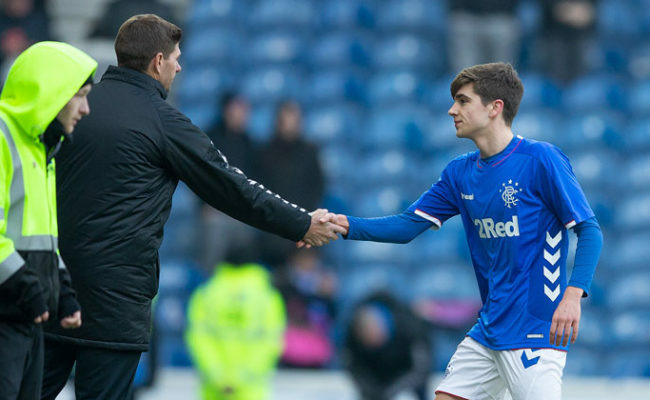 Alongside an even younger side than usual was first-team players Nikola Katic at the heart of the defence and Jordan Rossiter in central midfield with Andy Dallas leading the line, fresh from being named a substitute in Steven Gerrard’s squad against Hamilton on Sunday. Rangers went into the game in fine form having just won 4-2 away to Rapid Vienna last Thursday, scoring 15 goals in their last three games and sitting top of the SPFL Reserve League. They had plenty of the ball in the first ten minutes, former Liverpool midfielder Rossiter dictating play in the engine room and Murty’s side looking determined. The first real opportunity of the match fell Hearts’ way as Jake Mulraney forced Aidan McAdams into a near post block to deny the Jambos, following a long ball forward from Bobby Burns down the left side. Stephen Kelly went close with a free kick on 15 minutes, placing his shot just wide of the goalkeeper’s right when it looked like it could have sailed into the top corner when the midfielder struck the ball. Another opportunity came on 20 minutes as Rangers broke at pace from a Hearts corner. Dallas did well to hold off a defender before playing in Josh McPake, who advanced with the ball but was thwarted by the advancing ‘keeper. The opening goal came on 24 minutes and it fell to the hosts. Right-back O’Connor, one of the ten under-18s in the squad, was adjudged to have fouled a Hearts player on the edge of the box on the left side, and Harry Cochrane aimed for the near post with his set-piece. The ball whipped in at pace and O’Connor was helpless as he headed it into his own net for 1-0. As the first half came to an end it was Hearts looking the more dangerous on the attack, although Rangers were encouraged by the runs being made by McPake on the left flank as he was causing the Hearts defence a lot of problems with his direct style of play. Rangers started the second half brighter and despite no clear chances being created, they looked the stronger side after ten or so minutes in the second period. And the equaliser came on 57 minutes as Dallas continued his ruthless goalscoring streak to make it 1-1. 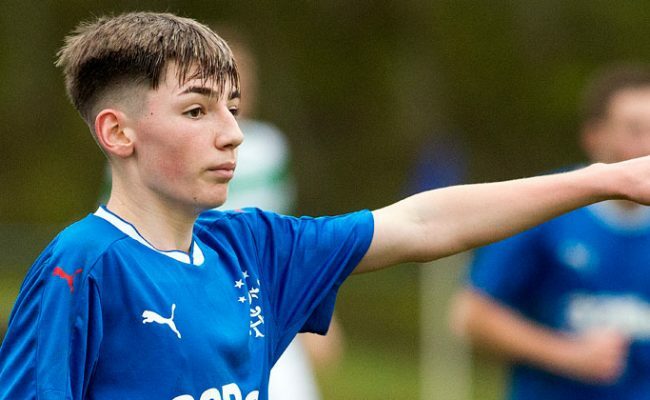 Rangers worked the ball out to the right hand side and full-back O’Connor whipped a tantalising cross into the box for Dallas, who converted it in off the post for the young Gers. Just a few minutes later, Rangers almost went ahead in the game through Daniel Finlayson. Kelly floated a free-kick into the box and Katic did well to win the header at the back stick, directing the ball to Finlayson but somehow it didn’t go in after the defender’s contact and Hearts cleared it to safety off the line. Around the hour mark, Murty made his first changes with Croatian centre-half Katic and Rossiter being replaced by Kyle McClelland and Ben Williamson respectively. Rangers were by far the better side with 75 minutes of the league match gone, winning more 50/50 battles all over the park and looking a cohesive unit going forward from wide and the central areas. If you were a betting man, it was Rangers who were going to go on and win the game. It came as a surprise then that it was Hearts that got a second goal with just nine minutes left in the game, Lewis Moore playing a neat exchange with Henderson on the edge of the area before the latter was played into the danger area – and he slotted the ball home past Aidan McAdams expertly with his left foot to win the game. 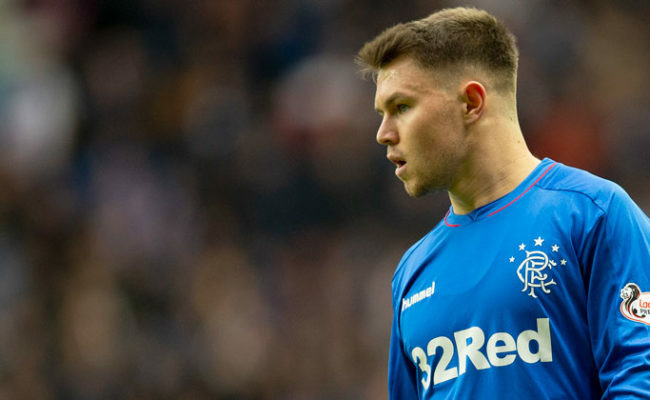 Despite the defeat, a very youthful Rangers can be satisfied with their performance against a Hearts side featuring several first-team players as Murty’s side remain top of the Reserve League after racking up an impressive amount of points up to this point. 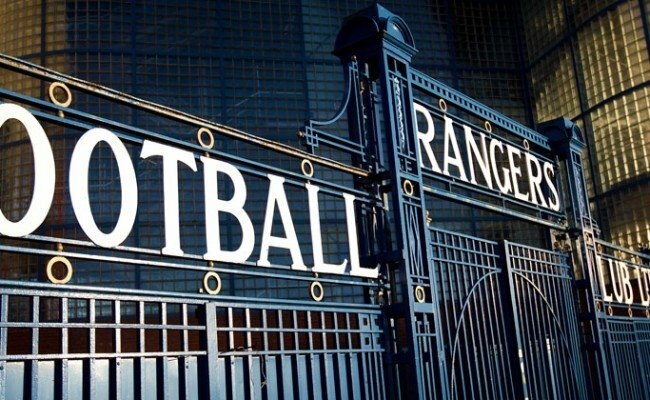 RANGERS: Aidan McAdams, Harris O’Connor, Nikola Katic, Danny Finlayson, Nathan Patterson, Cammy Palmer, Jordan Rossiter, Stephen Kelly, James Maxwell, Andy Dallas, Josh McPake. SUBS: Kyle McClelland, Ben Williamson, Matt Yates, John Balde, Lewis Budinauckas.